Like sailplane and paraglider pilots, hang glider pilots use the sun’s energy to stay aloft and cover sometimes great distances. All without any means of traditional “power”. It’s an amazing “free lunch” and what I want to know is how many kWh’s are involved in free flight? I used the Potential Energy of Gravity equation because that’s what gives us our ‘power’. As long as we can find air that’s rising faster than I’m sinking, then the rising air is lifting me, giving extra altitude for gravity to do it’s work on. The flight in this example was 235 miles and a bit over 7 hours in the air with total altitude gain in thermals of 57,526 ft (almost 11 miles straight up!). 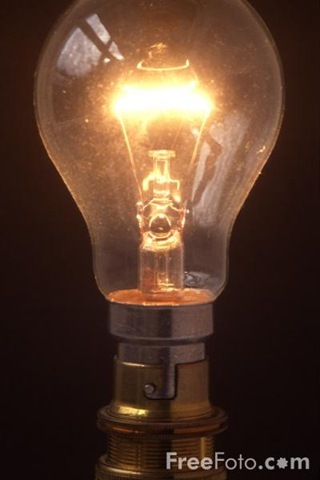 If you hook up a generator to a stationary bike, a healthy person could produce about 100 Watts as they pedal and illuminate one 100 Watt light bulb. Watts are an instantaneous measurement, so as long as they’re pedaling, there’s 100 Watts but when they stop there’s no Watts. If the cyclist pedaled for 1 hour, that’s the equivalent of saying 100 Watt-hours. Or .1 kilo-Watt-hours…. That’s not much power, but a lot of hard work. 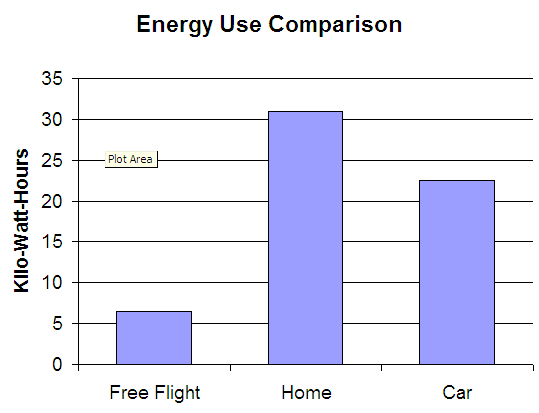 Source: 2007 Buildings Energy Data Book, Table 4.2.1., 2005 energy cost data. Another reference point, and something very interesting is that gasoline has about 11 kilo-Watt-Hours (kWh) of potential energy per gallon. The average person drives 15,000 miles per year or 41 miles per day. For a car getting 20mpg, the math shows that 41 miles is equivalent to about 23 kWh/Day. So, the Solar/Thermal energy that carried me for 7 hours on that flight was enough to power the average home for 20% of one day or drive a car 10 miles or so. Considering how much energy is expended by traditional flight, soaring flight really is a free lunch. 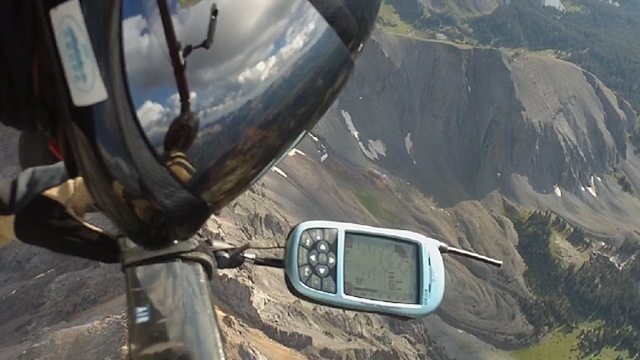 The views from 17,000 ft are priceless and silent and you don’t have to burn any dinosaurs to get there, again and again!